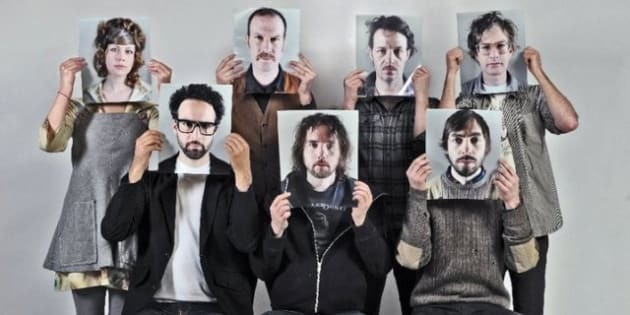 Indie rock band Broken Social Scene will reunite later this year as part of the Field Trip Music & Arts Festival set for Toronto's Fort York & Garrison Common on June 8. According to Canadian Press the group will take to the stage for one-night only to celebrate their record label Arts & Crafts' 10th anniversary. They'll be part of a bill featuring Feist, Hayden and British rock group Bloc Party. Others confirmed for the bill include Ra Ra Riot, Timber Timbre and Cold Specks. Jeffrey Remedios, the label's co-founder, said Broken Social Scene's reunion shouldn't be deemed to be a return to recording or touring. "I think if it was in any other situation, they wouldn't necessarily come back," Remedios told Canadian Press. "Without Broken Social Scene, there would be no Arts & Crafts... The first 10 records we put out were in some way related to Broken Social Scene. So they're going to play one show to help Arts & Crafts celebrate 10 years. It'll be really special to see." The complete lineup also includes Zeus, Jason Collett, Trust, The Darcys, Still Life Still and Gold & Youth. Tickets for the concert go on sale Wednesday with early-bird tickets available exclusively from the site and priced at $55. On Friday general admission tickets will be priced at $75 with VIP tickets priced at $120 with a $3.50 facility fee on all tickets. Tickets will be available through Ticketmaster, Soundscapes, Rotate This and the label's office location. Kids will be permitted in for free. The show will be Broken Social Scene's first since concluding a tour in Brazil in November, 2011. "Field Trip was built around the themes of discovery and community," Remedios said on the concert's site, adding it will incorporate "local art, gourmet food and unique elements of Toronto's proud culture." The concert will also feature two stages, meaning most likely a seamless performance from start to finish with performers "entirely" from the label's roster from the time the show begins at 1 p.m. until it wraps up at 11 p.m.
Remedios also said a series of events and releases will also celebrate the label's decade in existence, including a retrospective compilation of b-sides, rarities and hits released as a two-disc set and also a vinyl box set. As well, a new collection of "collaborative works" by the label's roster reworking some older material and new songs from nearly all the label's lineup will be released. A photography exhibit by Norman Wong is also in the works along with some fashion collaborations with designer Jeremy Laing. The label gave no further details via Twitter but mentioned on Saturday that "2013 will be a good year..."